InterDisciplines is an interdisciplinary journal at the interface between history and the social sciences and to research that discusses their relationship. 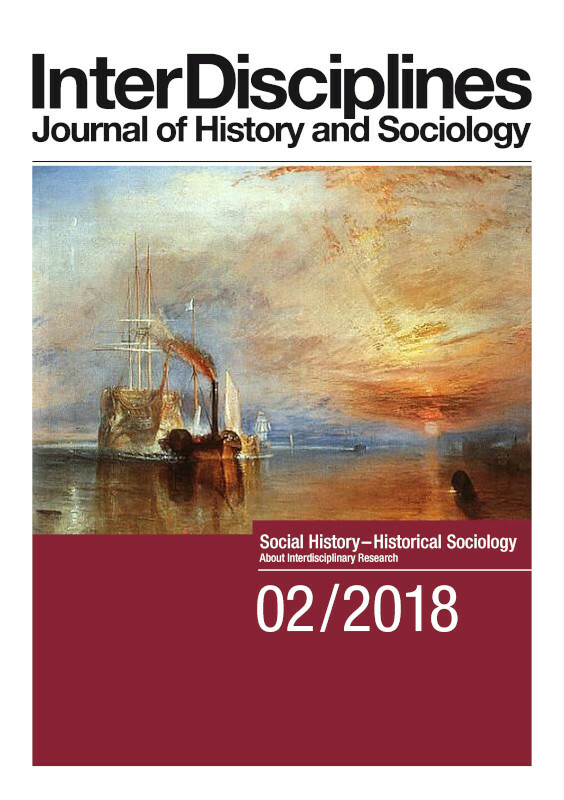 InterDisciplines is an Open Access e-journal, dedicated to work at the interface between history and the social sciences . Its articles are published in English. More about InterDisciplines and our content focus you can find under "About" and "Aims & Scope". On the right side you find our current issue. Click on the cover to get directed to the content. Older issues can be found under the navigation point "Archives". If you look for an article in particular, but are not sure in which issue it was published, you might find it with the search function on the right.